A few weeks ago NMPi announced that we would be acquiring US creative specialists, Joystick. We are very excited to have Joystick’s entire leadership team, including Sara Francis, remain on post-acquisition. Sara has over 18 years experience in digital marketing, having begun her career primarily focused on entertainment working for such companies as Miramax, Deep Focus, and Moxie Interactive. In 2010 she began her career at Joystick, leading the Los Angeles office and account management team company-wide before being elevated to CEO. We sat down with Sara to find out more about her, the agency, and what she’s looking forward to about this acquisition. How do you think the industry will benefit from a joint media and creative agency? Every digital touchpoint is an opportunity to create a connection and a conversation with the audience. At Joystick, our quality creative plays an integral part in campaign performance and ROI, something that is lacking in many campaigns. But oftentimes creative work is created without a complete picture of the consumer journey, making it hard to truly have an impact. By joining forces with NMPi, we are able to close the gap between creative, media and technology. Media and creative have been extremely fragmented, now that we’re together, we can break down the barriers that exist. We’ll have more control over the customer touch points and the consumer’s experience throughout the brand journey. This may sound lofty, but we want to build a web where people love ads. Love them because they’re a great experience and are useful. This is what inspires us every day and we believe we’re working with the right partners and clients to make this happen. What innovative technologies and strategies do you think NMPi will gain from adding a creative perspective to their digital offering? Conversely, what insight will Joystick gain from partnering with a global digital agency such as NMPi? Joystick is one of the first creatively-led agencies with deep expertise in ad technology. This will add a number of complimentary service offerings to NMPi. Our work in innovative technologies will add a robust offering to brands who are looking to add immersive experiences to their mix or augment their voice and visual search strategies. Conversely, we look forward to combining our dynamic creative expertise with NMPi’s skilled programmatic strategists to offer a full-service solution unmatched by others. We’ll have audience and creative alignment that will enable us to create truly personalized creative and ad relevancy that delivers results. What plans for growth do you have in the upcoming year? Well for starters, we’ll need to service a global client base and expand existing services into new markets. We also see immediate opportunity to expand how we’re working with our current technology vendors. So all of this will mean that we’ll need to grow our team and invest in our talent to learn about how to bring our collective services together. We see our new global footprint and expanded capabilities as a huge opportunity for growth. What are the challenges facing digital marketers in the coming twelve months? We’ve been having meaningful discussions with brands around how they think about activating brand and business growth. We all desire to create meaningful brands fueled by consumer-first thinking and data. Many want to know how to action their data and sequence ads and content to work together to keep things fresh and relevant to consumers at any moment. We’ve also heard a lot about the challenge of maintaining creative quality with programmatic buying. That’s a challenge we’re going to take head-on. We’re bringing high touch creative to programmatic. We plan to roll out a suite of high impact creative formats for programmatic delivery which is something the industry desperately needs. What do you look forward to most with this partnership? We look forward to re-imagining what it means to be digital marketing specialists. We are in essence bringing art and science together. Data-driven creative is our art. And with our creative chops combined with the expert minds of NMPi’s analysts, we can push that even further. We are also looking forward to expanding our global footprint to have service areas in 16 countries and a team of over 340 of the most highly trained experts across search, display, video, social, data and analytics. Personally, I’m excited about the opportunity to collaborate with our collective of agencies. We’re all specialists in our respective disciplines and we now can work closely and non-competitively on what the future agency model looks like. What is the most exciting recent development in digital marketing? Well, to be honest, there are always exciting new developments in digital marketing. We’re always developing emerging formats using new advancements in technology and putting them to work in new ways. We’re also happy to see that platforms are doing more to create a space to give a creative a voice. Great creative is finally getting a spotlight again which is a huge priority for us. And lastly, what is your favourite project that you have worked on? There are so many I consider my favorite, it’s hard to pick just one. A recent favorite would have to be the voice-enabled unit that we worked on with our client and partner True[X] for Amazon Echo. Our team had seen how more and more people were using voice search and we wanted to see if we could put this to work in an ad by using speech to text conversion technology. When True[X] came to us with a voice-activated experience they were working on with Amazon Echo, we had a couple of approaches to recommend. The result was a highly engaging and entertaining voice-enabled ad unit that featured the Echo’s capabilities in a compelling way. This is a great example of the true collaboration we love having with all our partnerships. Today, we are so delighted to announce that NMPi and our sister company, DQ&A, have agreed to acquire a fantastic international digital creative specialist, called Joystick. Established in 2006, and now with a team of over 90 digital creative experts in New York, Los Angeles, London, Santo Domingo, and the Philippines, Joystick is a market leading creative specialist with extensive expertise in data-driven dynamic ad technologies, and is one of only four DoubleClick Certified Creative Partners in both the UK and the US. The launch of our US offices follows a significant client win. In September this year, we began delivering Paid Search, Display, Paid Social and Analytics services for US retail group, Fullbeauty Brands, and seven of their subsidiary companies. Fullbeauty Brands has specialized in plus-size clothing for women and men in the US for over 100 years and includes the popular brands Jessica London, ellos, Woman Within, and King Size Direct. “The transition of our paid media channels for 7 brands has been flawless. They truly feel like an extension of the team rather than an agency,” commented Vice President of Digital Marketing at Fullbeauty Brands, Bobby Missry. In July this year, we announced a strategic partnership with global technology company, Pitney Bowes. We are helping them strengthen their industry-leading global e-commerce offering with enhanced consumer marketing solutions, including international paid-search campaigns, display advertising, social media advertising and fully optimized Google shopping experiences. Australian digital media agency, Clicks2Customers (C2C), has just announced a rebrand. As of today, they will be delivering their award-winning approach under the NMPi brand. Clicks2Customers is known for their work with leading APAC retail brands including, Bonds, Rebel, Woolworths & Topshop. This rebrand will see them joining forces with their sister company NMPi. Originally founded in London, NMPi offers comprehensive media planning, implementation, and performance advertising across all digital channels. 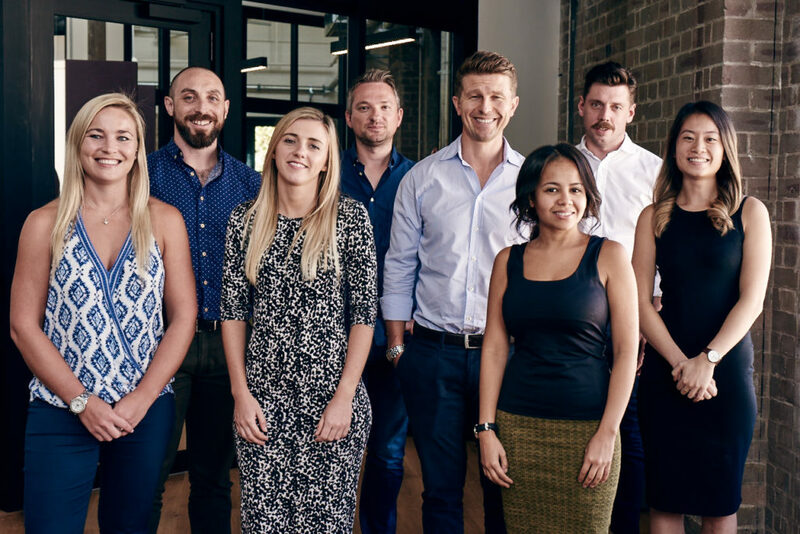 With over 250 employees across 4 global locations, C2C will be joining a network of agencies delivering localised digital campaigns. “This is an opportunity for two companies to come together and share nearly 30 years of knowledge and experience in the industry. This was a perfect match for us; by utilising the skills built up by NMPi in the UK market we can increase our local proposition, and offer a much wider portfolio of services to our Australasian clients” says Sam Shennan, Managing Director of NMPi Australasia. The move into the Australian market is part of an ongoing international expansion strategy. “Over the next year we will continue to grow our business and the knowledge we share across the business. The expansion enables us to implement even more complex international campaigns with local insight, “said Luke Judge, Managing Director of NMPi (UK). “The introduction of NMPi into new markets allows the transfer of some unique strategies, processes, and tools. Together, we are strengthening our international positioning and our comprehensive services,” continues, Judge. “The future is bright as we continue to evolve in the Australian market and learn from our international colleagues. This expansion enables us to offer unparalleled service, and a premium digital proposition to our customers across the globe. We look forward to this exciting new addition to the NMPi family and to our continued growth throughout 2017 and beyond,” says Shennan.